It's time to finally start printing your photos the easy way.$1,000 of Amazon Gift Cards to be Won! 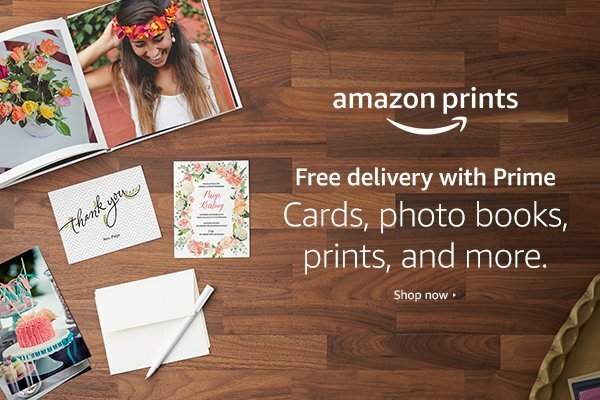 Amazon has launched a photo printing service that allows all customers to print their memories. Prime members can upload images to their Prime Photos account, print the product of their choice, and receive free delivery. If you're not a Prime member , you'll receive 5GB of storage free on Prime Photos and be able to print your favorite photos. Prints start as low as $0.09. Just imagine all of the beautiful memories you can bring to life and the amazing projects like photo books, wall decor, photo gifts,and calendars. You can even print next year's holiday cards with Amazon Prints.